I am one of those Invisibles and I think they are pretty common in my region. The reason for this is that in Dresden (Germany) there are only few places to play MTG and those places are comic stores or so-called Kellerclubs (“basement clubs”). And (no offence) most of the guys who show up there are really weird. So MTG is connected with freaks and nerds and deemed “uncool” here. I even stopped playing because of this, because it was embarrassing to meet up with such people. For a while we just played with friends and then didn’t see much sense to buy expensive stuff anymore. This was after Fifth Dawn. But for me, Magic was always more. I read all the books (well, almost all) and loved them. I started collecting the legends who show up in the books. And just recently a friend of mine sparked my interest. So here I am again, spending money for MTG and STILL rarely playing in tournaments, because the people are REALLY mostly weird dudes (there is a slightly obese player with MLP-shirts and a strange pigtail… and he stinks), but rather with friends (who are far less freaky). Sorry for the long text, I just wanted to point out how (unfortunately) most Germans perceive this awesome game. I suppose so, but can’t say for sure if it would work. But I’d rather play surrounded by a serious (“normal”) ambiente, than an Otaku’s wet-dream-paradies or a basement-dweller dungeon. Maybe this would also get the attention of other Invisibles. The best course of action could be to open a “games-bar” where you can play a multitude of other games as well, while also hosting MTG-related stuff. How to balance this is beyond me, though. The size of the community varis strongly from town to town with Berlin and Munich being the biggest (as far as I know). 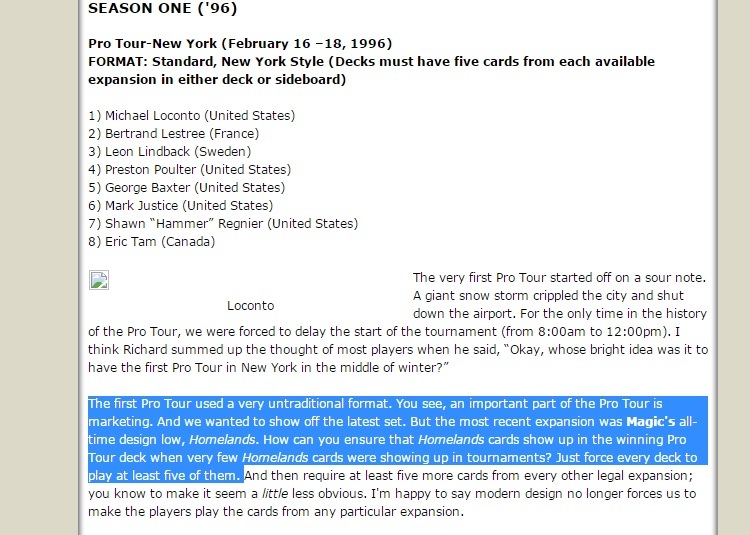 If MTG could somehow lose its “freak”-image here, it would blossom like in the USA. Being an Invisible myself, I don’t see why it carries such a negative connotation. It’s actually pretty sweet. Thank you for an interesting article. I’ve been commenting on some of the mtgprice articles presented and picking the writer’s brains about the inherent and potential value in this set. I thought Guo overestimated the price of the elder dragons (I believe he commented that u was even undershooting) but the one thing I wasn’t sure of was the “Elder Dragon” creature type and it’s effect on collectibility and value/price. As you mentioned AVR seems like a good comparison. During prerelease there were a lot of unhappy players, the limited format did not seem much improved over FRF KTK to them. 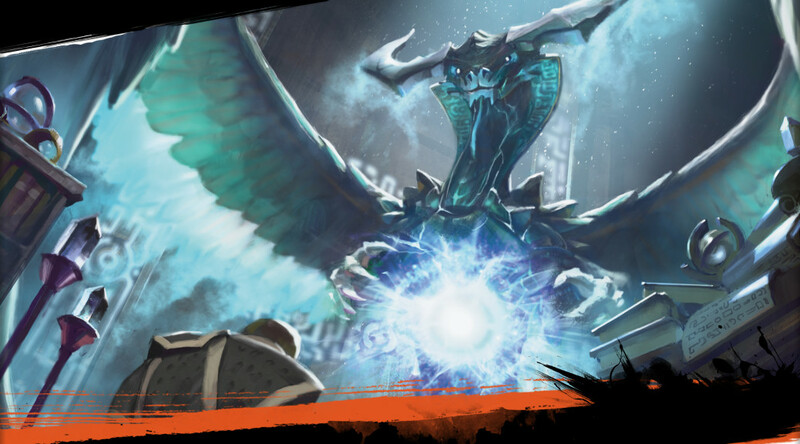 I personally didn’t mind it although I thought it was a bomb dependent limited format…there also seems to be little to no eternal viable cards and the elder dragons don’t seem like good commanders. So in your opinion (and u can tell me to wait for your next article) is this set going to follow Dragon’s Maze pricing, Avacyn Restored, or something totally different from this set that seems to have only “invisible” player appeal?? Beware The Invisible; we don’t appreciate being called rubes and we are not here for you to profit from. Many of us have collections of staggering proportions and hold an untold number of valuable early print cards that have been missing from the market for a long time. Don’t take offense to the rubes bit. This is a blog about FINANCE. Making money off of MTG cards. Maximizing profit is what we’re all about here. True, I have larger collection then vast majority of many players even though they played longer then I have. We could unleash a shock on the markets if we’d stopped only playing with our friends and let our collections loose on the markets, how many moats, gaea’s cradles or dual lands could we unleash …. I am one of these ‘Invisibles’. I have been a casual player of mtg for going on 18 years now, first playing when I was a mere 8 years old. I have bought at least a few boosters from every set that has come out since; essentially buying one whenever I am shopping–my collection quite literally spans everything from Alpha to DTK. Some sets I have bought booster boxes or fat packs for, when I had the spare money and the set seemed interesting. I generally then trade away almost all my bulk; so that it takes up less room. I generally play Legacy, and occasionally Vintage, EDH, or Modern… but rarely any block constructed formats. I have a dozen or so different people that I play with, to the point that I try to keep a deck on me at most times. It is incredibly easy to find people who play the game around where I live (Utah), but many of them do not actively participate in FNM. Despite being an ‘invisible’, my decks are not low-brow; several of my decks are worth thousands of dollars. Occasionally I might make my way into a card shop; but I dislike being restricted to Standard, since almost no casual players do that, and most of my decks and games are just that… casual. Furthermore, I just don’t really like the types of people that regularly attend FNM; almost none of them are well-adjusted people. They are socially awkward and have passable hygiene at best. And they are ARROGANT; when you are a new face, they act like you are a newbie. I can’t help but raise an eyebrow when someone who has played for two years starts trying to explain the game to me all diminutive. Sure, I don’t look like a ‘nerd’; but I know the game quite well… enough to remember game mechanics like horsemanship and rampage… ohhh, or how funny ‘protection from homarids is on ‘Old Fogey’. That’s similar to my opinion about the guys attending FNM, albeit I have nothing of similar worth myself 🙂 But this shows that if there would be a serious environment, a lot of players could possibly go there. No need for a store, but a bar would do quite well. I consider myself fortunate that there is a store in my area that has plenty of well-adjusted fans of Magic and other card/board/tabletop games. There are also two other stores relatively close by, one which is the go-to place for sneaky arrogant pricks and card thieves (completely serious, the store owner defends them and refuses to go after them, all the way up to deleting camera footage if cops are called), and the other for grinders and less sneaky and prickly but still maladjusted types. There are still a few jerks at the nicer store who like to rip off kids in trades (one of whom is a TO there :-/ ), but overall I’d say at least 85% of the people there are people I wouldn’t mind playing with, and 40% of whom I would be very happy to play with. Odd that the article says Time Spiral was a flop among invisibles. I was an invisible at the time, and I absolutely loved that set. I wonder why it didn’t do so well? Invisible here too. You’re exactly right about the arrogance. I find that irritating too. I have no interest in playing with get-a-life and/or for-the-love-of-God-take-a-shower types. Another group I have no interest in playing against: high school kids. I’m 42, and have been playing Magic longer than some of these kids have been alive. Being the “old guy” in a room full of millenials is thoroughly depressing. I have a small group of friends (all over 40) that I play Commander with maybe once a month or every 2 months. No one gets pissed off when they lose. Arguments are civil, and handled with personal humility and respect for others. My advice to finance guys would be this: try making a deck that is FUN to play in multiplayer/commander. Think of monsters would you like to play, but never really have had the opportunity to play: Cromat, legendary dragons from Legends, Eldrazi, etc., etc. BIG creatures. Scratch that, RIDICULOUSLY BIG or potential ridiculously big creatures with a half dozen special abilities. Those are the cards that will be big with invisibles. I flip back and forth between being invisible and not since invasion. A few years ago, there was only two LGSs within 20 miles of where I lived and they were heavily standard and draft (they usually rotated between both) so kitchen table it was. I live next to CFB now that runs all types of events so I go to those that I’m interested in. Sometimes its draft heavy (nearly every week during RTR/GTC because I really enjoyed that set) but then modern only during Theros since I wasn’t a huge fan. I play in a a few casual leagues as well (not sanctioned, no points but they run drafts weekly and ongoing sealed leagues). I would suspect the largest league I play in goes through ~1500 packs a set though (between drafts and sealed) which is pretty sizable. With Nirkana at $15, I’m still waiting for Crypt Ghast to start climbing, although the recent reprint didn’t really help out. It’s still the same effect and the bonus extort does not limit you do Black AND White decks in #cmdr so I wonder when it’ll catch on. Too bad it’s not a vampire.